After a lengthy three-year development cycle, the Space Tripper iPhone app by True Axis studios has finally been released on Apple’s App Store. Was the game worth the wait? Read on to find out. 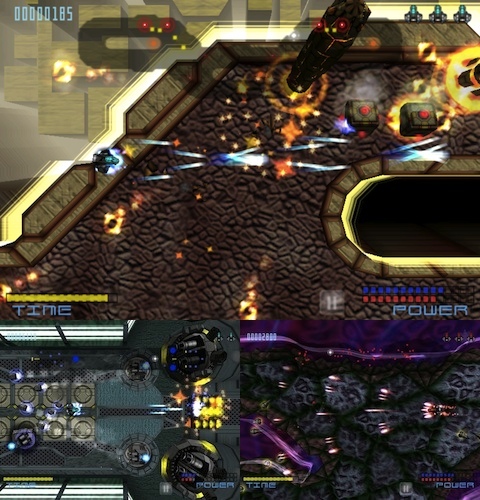 Space Tripper is an arcade shooter-style game in which the player’s objective is to destroy all the enemies that spawn each round. 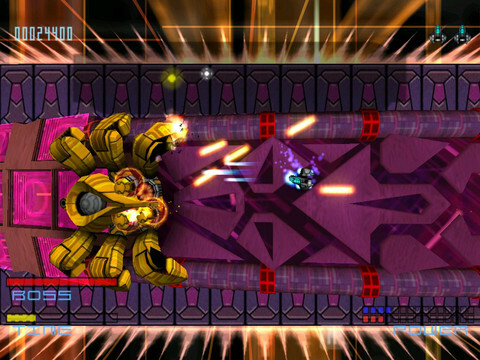 By defeating waves of enemies, players are allowed to move on to increasingly challenging stages. Anyone familiar with classic shooters like R-Type or Gradius should feel right at home with Space Tripper, as the programs’ mechanics are very similar. One of the most notable features of this iPhone app is its extreme level of difficulty. The program is definitely not meant for the casual gamer, and even serious players will have a difficult time beating it. The main reason that the program is so challenging is because the player is only granted three lives for the duration of the entire program. Unlike other applications, Space Tripper doesn’t offer players the option to continue once they have expended all their lives; and players will need to restart the entire program if the run out of extra lives. For most people, the controls in Space Tripper will definitely take some getting used to. Not to say that they’re bad, it’s just that they rely on the player tilting the iPad or iPod Touch in order to manipulate the vehicle. What’s worse, the program doesn’t even offer players the option of enabling a button-based control scheme; the tilt scheme is the only option. Because the game relies entirely on tilt controls, there isn’t any button to press to make the player’s vehicle fire its weapons. Instead, the vehicle just automatically fires its weapons in a constant stream. If players can get used to the odd motion controls that the program employs, they actually work quite well. Because this is a program that requires split-second reflexes, simply tilting the gaming device will allow players to react to situations much more quickly than if they had been using a button-based control scheme. Although opinions on game music are often a matter of taste, it’s doubtful that many people will be pleased with the audio in Space Tripper. The music is very atmospheric and dull; it doesn’t really get the player excited to fight off swarms of enemies. Additionally, the explosions sounds seemed very flat and unimpressive. This is really unfortunate, since the rest of the program’s presentation is top notch. The graphics on Space Tripper are very impressive compared to other programs on the iPad or iPod Touch . All of the special effects are incredibly well done; the explosions and lasers blasts all have a very satisfying feel to them. The most impressive part is how smoothly the application runs, since there’s usually a ton of action going on at any given time. Although the application uses a top-down camera angle, it uses many 3-D effects to give each scene a lot of excitement. As the player progresses through the program, the 3-D background will start to have an increasing effect on the gameplay, with mountains and towers protruding up to force the player to take evasive maneuvers. It’s very difficult to give a flat score to Space Trippers. For casual players, the program will probably be so difficult that they’ll just quit in frustration and never pick the program up again. However, gamers that enjoy being challenged should love the program. The program is already very difficult by default, and players can even unlock a more challenging difficulty to play through once they beat the program. AppSafari review of Space Tripper was written by Joe Seifi on November 21st, 2011 and categorized under Action, App Store, Arcade, Featured, Games, iPad apps, Scrolling Shooter, Universal. Page viewed 3910 times, 3 so far today. Need help on using these apps? Please read the Help Page.